Are you seeking to enhance the appearance your smile by replacing one or more missing teeth? At Scottsdale Smile Center, Dr. Jonathan Coombs and Dr. Don Chiappetti offer a variety of effective treatment options designed do just that and more, one of which is dental implants. Utilizing state-of-the-art Cone Beam X-Ray technology and computer guided surgery, Drs. Coombs and Chiappetti can place dental implants with an unprecedented level of accuracy and precision, helping qualified candidates improve the form and function of their teeth with permanent, natural-looking results. If you are interested in dental implants, one of our skilled dentists can perform a thorough oral examination to evaluate the density and width of your jawbone, as well as ensure you have no preexisting medical conditions – such as uncontrolled diabetes – that may compromise the efficacy of treatment. Should you be a good candidate, he will then provide an accurate estimate of what the procedure may cost based on factors including how many dental implants you need to achieve your goals and how extensive the operation will be. 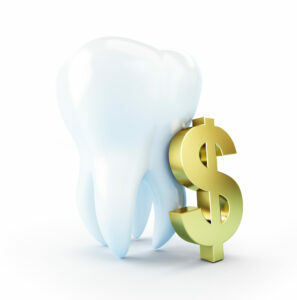 To help make dental implants more affordable for all of our patients, Scottsdale Smile Center offers various long-term financing options through trusted third-party institutions such as Capital One® Financing and CareCredit®. Additionally, our team will check with your dental insurance provider to determine if any portion of your treatment may be covered. If you wish to pay without financial help, we also accept cash, checks, and the majority of major credit cards. To obtain a personalized estimate of what your dental implant procedure may cost, we encourage you contact us today to schedule an appointment with Dr. Chiappetti or Dr. Coombs.